Lexengine: NATGRID: Reasons and repercussions. The National Intelligence Grid or NATGRID is an integrated intelligence grid that will link the databases of several departments and ministries of the Government of India so as to collect comprehensive patterns of intelligence that can be readily accessed by intelligence agencies. 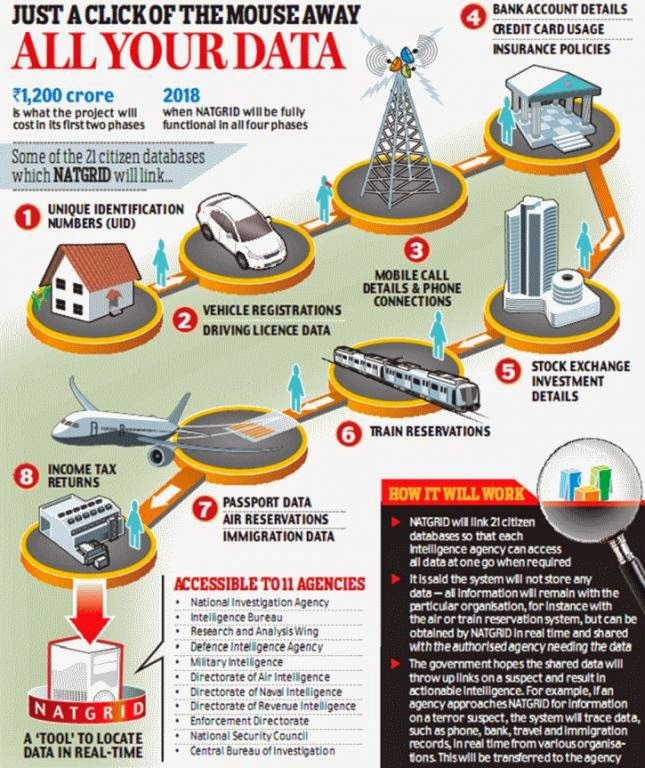 It was first proposed in the aftermath of the terrorist attacks on Mumbai in 2008 and is to become operational in 2013-14.NATGRID will integrate 21 categories of data from agencies like banks, railways and airlines, Income tax department, credit card companies etc., visa and immigrationThis combined data will be made available to 11 central agencies including the R&AW, the National Investigation Agency, the CBI, the Directorate of Revenue Intelligence, the Intelligence Bureau, the Narcotics Control Bureau and the Enforcement Directorate to help them prevent terrorist attacks and criminal activities. The 26/11 attacks on Mumbai led to the exposure of several weaknesses in India's intelligence gathering and action networks. NATGRID is part of the radical overhaul of the security and intelligence apparatuses of India that was mooted by the then Home Minister P. Chidambaram. The National Investigating Agency and the National Counter Terrorism Centre are two organisations established in the aftermath of the Mumbai attacks of 2008. Before the attacks, the American Lashkar operative David Coleman Headley had visited India several times and done a recce of the places that came under attack on 26/11. Despite having travelled to India several times and having returned to the US throughPakistan or West Asia, his trips failed to raise the suspicion of Indian agencies as they lacked a system that could reveal a pattern in his unusual travel itineraries and trips to the country. It is argued that had a system like the NATGRID been in place, Headley would have been apprehended well before the attacks. NATGRID is being implemented in four phases, the first two of which will be operationalised by 2014 at a cost of 1,200 crores and the first data sets will be retrievable by early 2013. The Cabinet Committee on Security approved the first two phases in 2011. 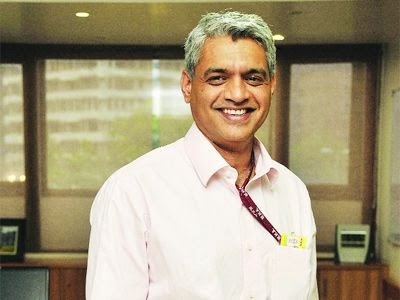 The same year, P. Raghu Raman was appointed the Secretary and CEO of NATGRID and tasked with the establishment of the grid. The implementation of the third and fourth phases are expected to require amendments to several laws to allow for the sharing and transfer of data on items such as property and bank transaction details and internet usage. NATGRID is only the technical interface for intelligence agencies and not an organization in itself. If the agency initiating the inquiry is not authorized to get that information, it cannot get it. Security and intelligence agencies will not be able to use the NATGRID system to access information for any purpose other than that of countering terror. NATGRID will not “store” any personal data, but only facilitate transfer. One Soldier Bradly Mannins, accessed the SIPRNET, copied all the US diplomatic documents and sent them to Wikileaks founder Julian Assange. Similar fiasco could happen with India’s NATGRID.